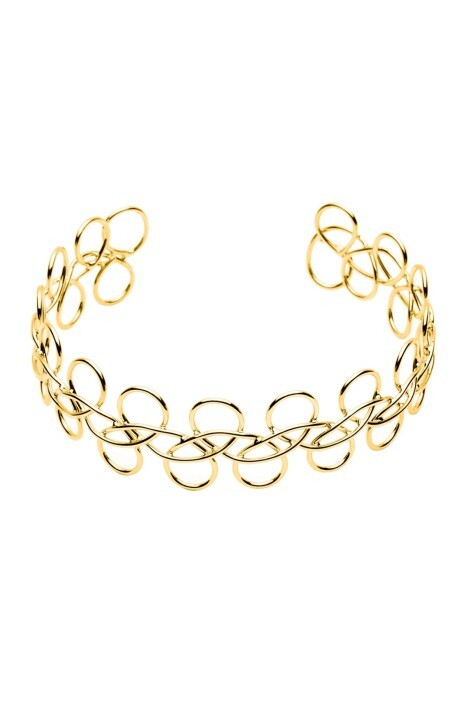 Beautifully woven 18-carat gold, and plated to add a soft and dainty feel to any look, this choker is perfect to hire for an upcoming black tie event, to compliment that stunning floor length gown you’ve set aside, or to rent for a day out at the races with that lace-patterned mini dress you’ve been eager to wear! Pair this gorgeous statement piece with a simple black pod clutch, and a pair of matching, elegant heels. For more style inspiration, check out our Top 10 Fashion Tips for a Winter Beach Wedding blog post! A mist of minimalism, mod yet moody, Amber Sceats continues to appeal the fashion forward girls after their launch in 2012 in Sydney. Inspired by her love for art, architecture and travel, she now designs fashionable individual pieces with a unique contemporary twist of graceful ‘rock’ element whilst remaining timeless.